Dale Haney is the keeper of the White House grounds. In nearly 40 years of keeping the grass green and the flowers blooming, he's also managed to cultivate something just as important: relationships with the presidents' pooches. 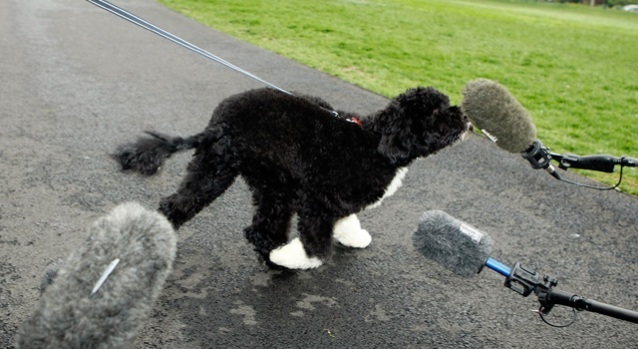 Haney is often spotted walking Bo, the Obama family's Portuguese water dog. In fact, he's tended to every White House pup since King Timahoe, Richard Nixon's Irish setter. Haney, 57, has been a White House fixture since 1972. After getting a degree in horticulture from Sandhills Community College in Pinehurst, N.C., he continued his training in Washington and basically was discovered for his green thumb, as he tells the story. "They heard about me and they called me to come over here for an interview and I came and here I still am," he said during a tour of the gardens one recent rainy morning when first lady Michelle Obama -- Bo's primary walker -- was out of town. That meant Haney would be Bo's handler until she returned from a day trip to Florida. "I have him a little bit more" when she's traveling, said Haney, who said he's amazed by the public's fascination with White House pets. "Sometimes I think they're more interested in the pets than the president," he said. "It's real amazing." Malia and Sasha Obama, now 11 and 8, long had wanted a dog, but were told they'd have to wait until after the presidential election last year. 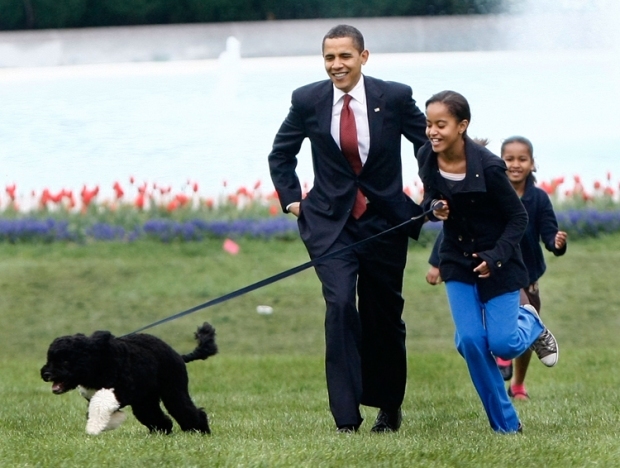 After Obama told the girls on election night that a puppy was coming with them to the White House, it seemed everyone, everywhere wanted details -- and had an opinion -- on what kind of dog the president-to-be should get and where he should get it from. 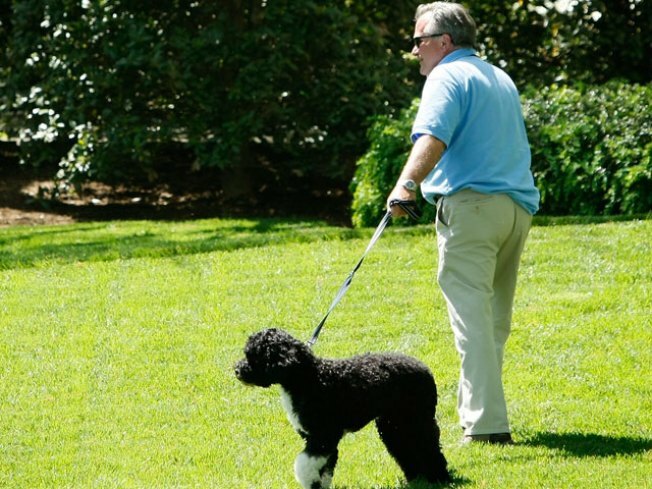 Before Bo came along to romp on the South Lawn and roam the White House hallways, Haney spent a lot of time walking and playing with President George W. Bush's Scottish terriers, Barney and Miss Beazley. Haney was most fond of Spot, an English springer spaniel whose mother, Millie, belonged to Bush's father, President George H.W. Bush. Haney said several years ago during an online White House chat that Barney and Spot kept the groundskeepers company all the time. "They hang out with us during the day while the president and first lady are busy," he said. "Barney plays with the volleyball and Spot plays with a tennis ball. ... They are very helpful in the gardening." Haney also confessed to having, well, a soft spot for Spot. "I love them both," he said of the dogs during the online chat in 2003, "but I do have a soft spot for Spot. I was there when she was born and now she's back." Millie gave birth to Spot at the White House in 1989; the younger Bush and his wife, Laura, put Spot to sleep in 2004 after she'd had several strokes. Barney had endearing qualities, too. "He has his own mind and does his own thing," Haney said back then. "You've got to love him." Besides taking care of the now year-old Bo, Haney has 18 1/2 acres of lawns, trees and gardens to care for, including the Rose Garden, the slightly smaller Jacqueline Kennedy Garden (also known as the first lady's garden) and Michelle Obama's bountiful South Lawn produce garden. It's a 365-day job. Just mowing the North and South lawns alone takes eight hours. Trimming happens twice a week. Haney typically gets to his office in the lower level of the White House residence at about 6 a.m, and calls it a day around 4 p.m. He has a staff of about 20, including electricians, gardeners and repairmen -- all National Park Service employees. The agency is responsible for maintaining the White House grounds and gardens. Haney works for the National Park Service, too. A career employee, he began at the White House as a gardener, then was supervisor of grounds maintenance and lead horticulturist before becoming superintendent of all the grounds last fall. Many presidents plant commemorative trees -- Obama planted a Littleleaf Linden last week -- to mark their time in office, but the Obamas took the concept a step further with the vegetable garden. It's a big change, and one that's proved to be more popular than the White House ever anticipated. The crops are served at the White House and some are donated to a neighborhood soup kitchen. 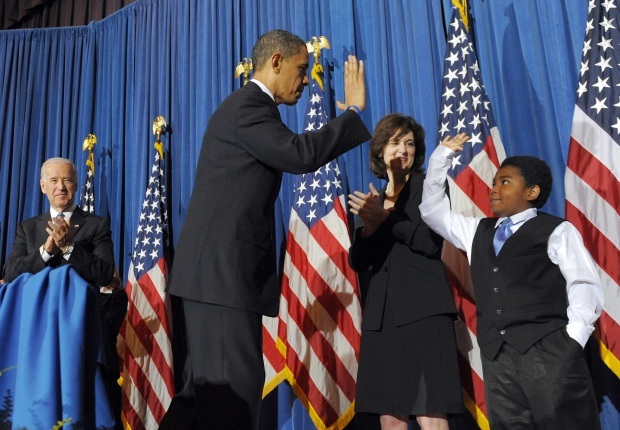 The Obamas are "very into the grounds," said Haney, who is now serving his eighth president. "They know what's going on because they're always out here walking the dog," he said.